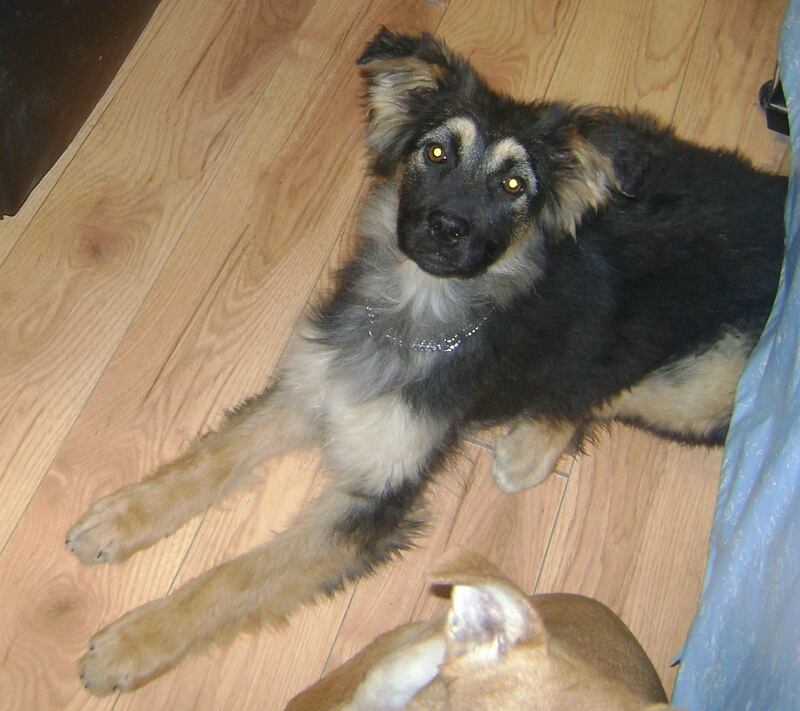 Dandelion is a female shepherd cross. This is Dandelion from YARN’s Flower Litter… She is the most unique looking dog… Parts of her front half have shorter hair – then her whole back end has longer hair… Almost like someone tried to shave her at one point. She is from YARN’s Flower Litter… Five lovely teenage Shepherd Crosses. The girls finished their isolation and are now protected by their first Parvo vaccinations. They have been at YARN Nursery for the past couple weeks learning how to live inside a house, which they are lovin’… They came from an outdoor life, and are still a bit people shy, but are young enough that they are quickly overcoming that. If you were interested in adopting Dandelion, you can submit an adoption application.